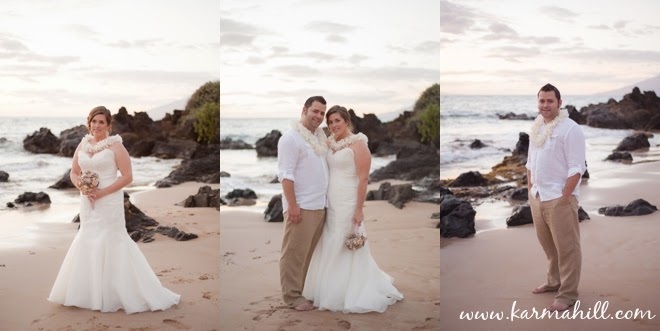 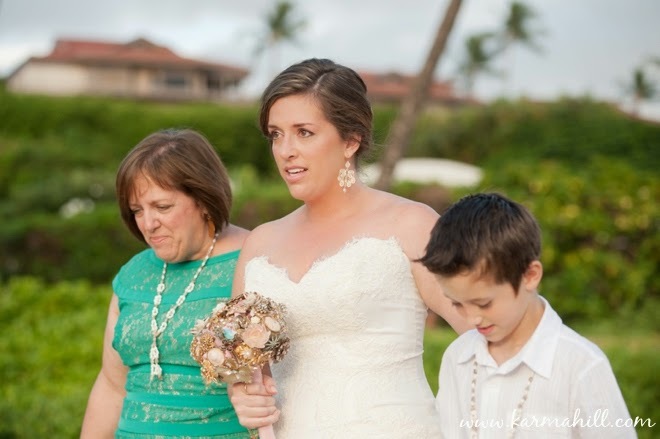 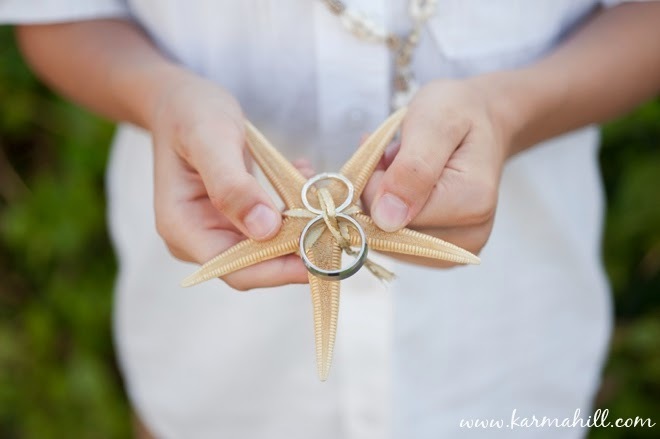 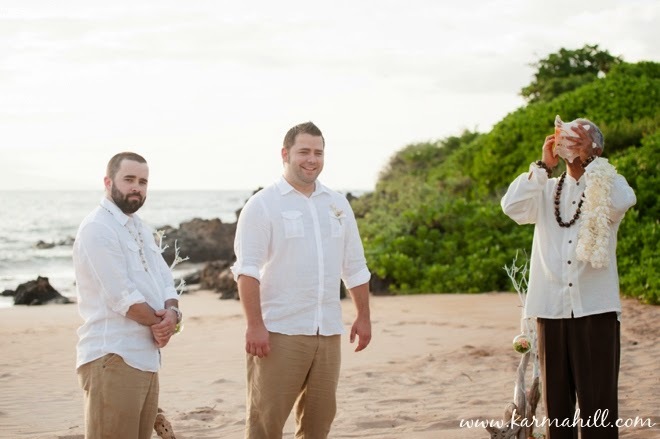 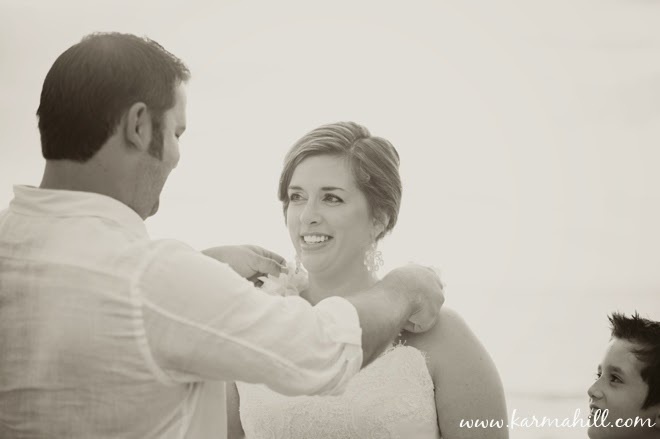 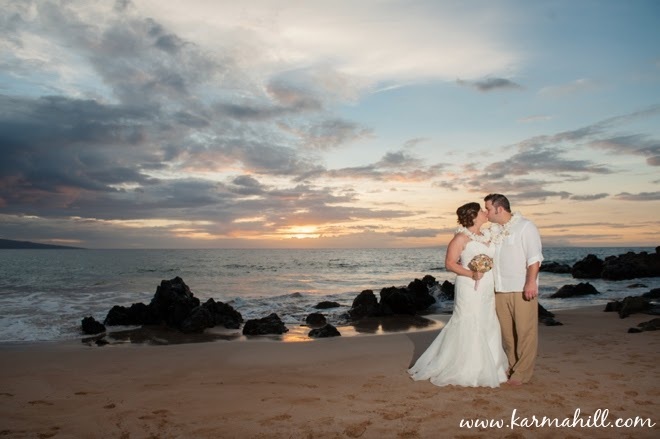 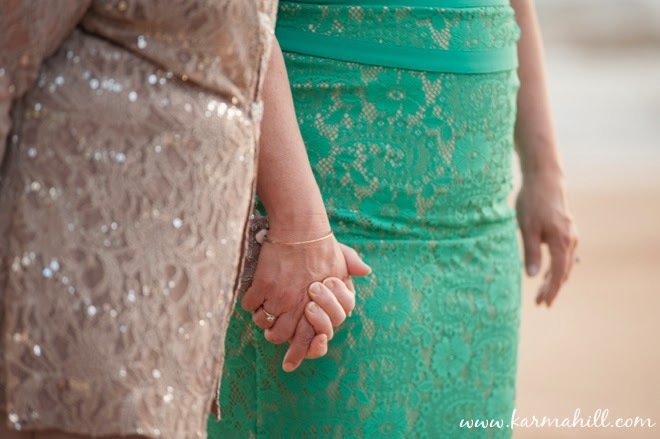 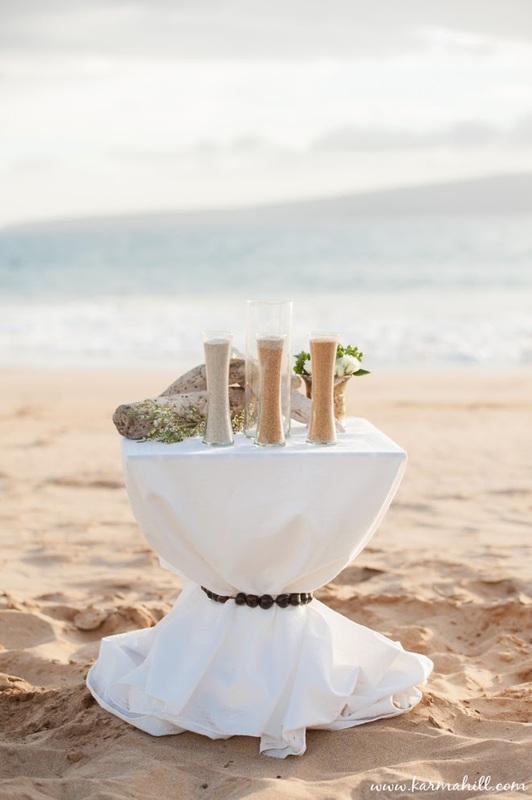 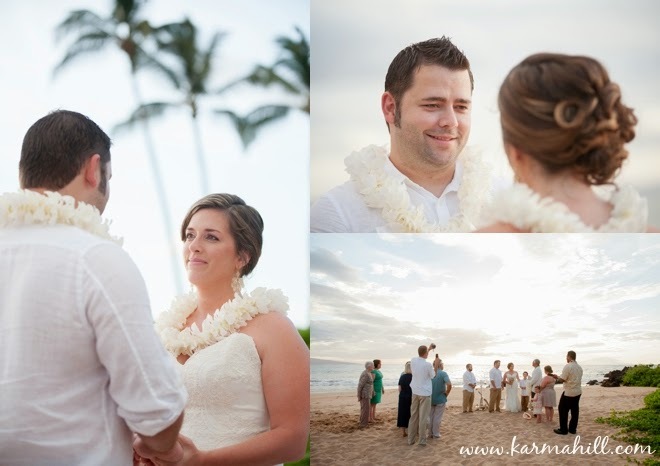 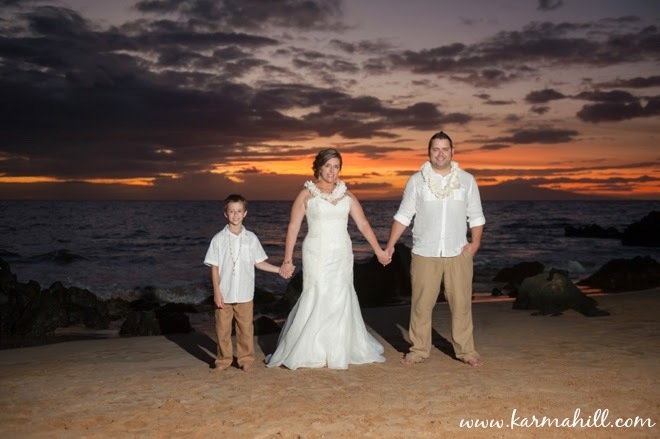 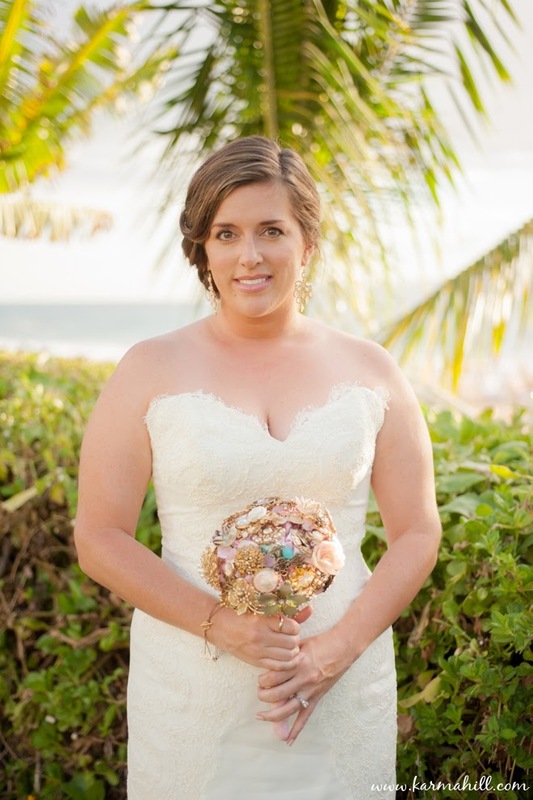 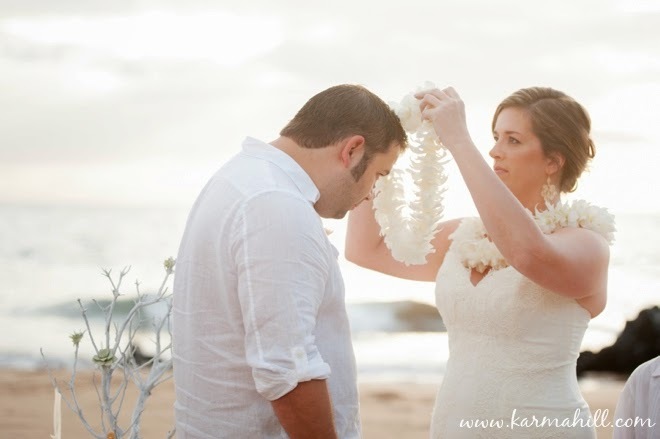 Bridget & Evins met us at Polo Beach for their gorgeous Maui wedding. 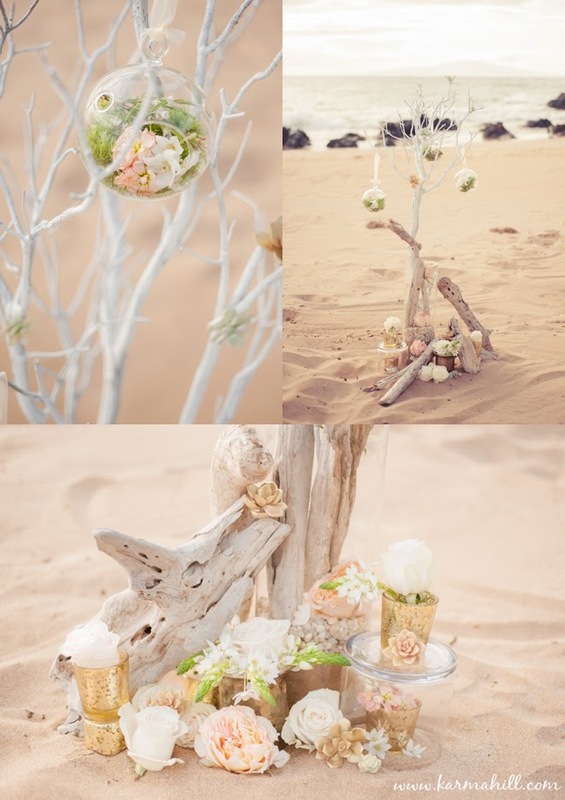 A styled arrangement of beautiful succulents, branches and driftwood marked their special spot on the beach. 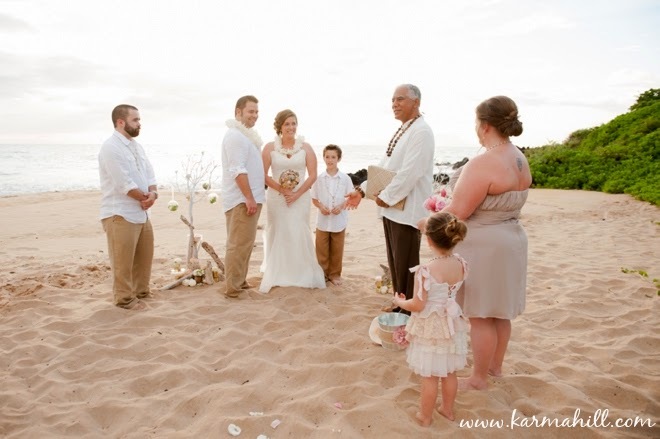 This sweet couple from came from Mississippi with their loved ones who stood around them as they said their vows, toes wiggling into the warm sand. 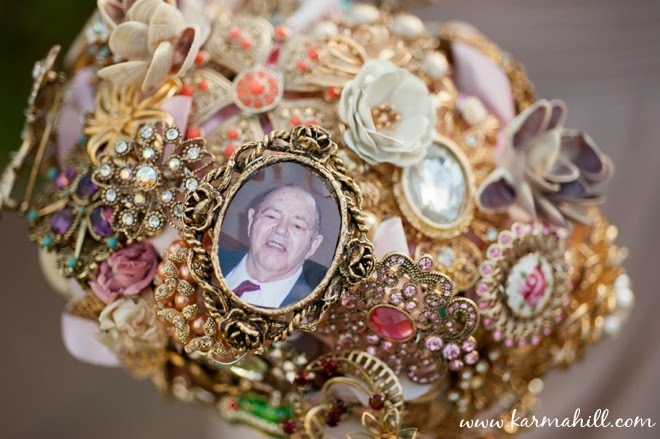 Bridget carried a brooch bouquet that featured a special photograph of her grandfather. 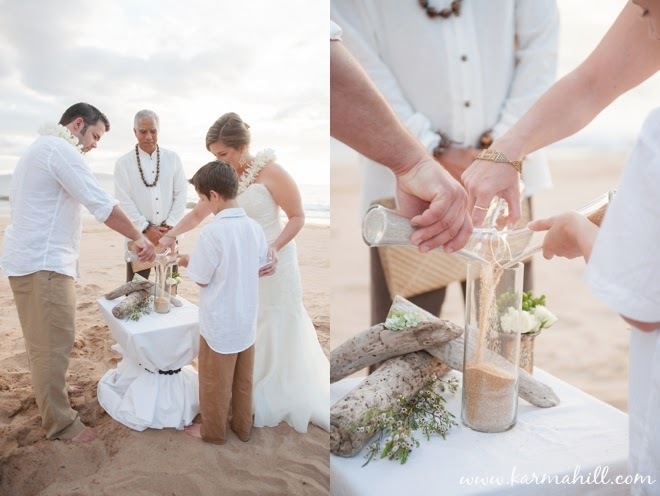 They also included a sand ceremony, a symbol of their union. 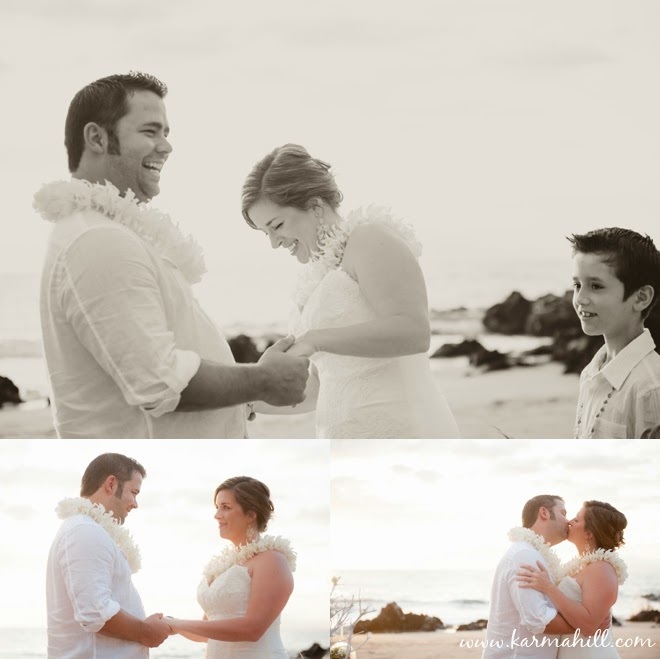 After their ceremony, we took romantic couples portraits on the shore near crashing waves. 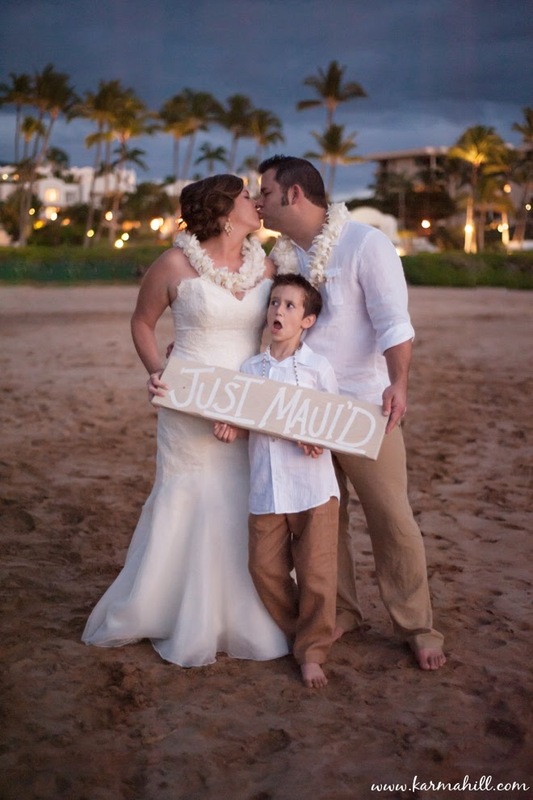 We absolutely love the last photo in their collection (see below) — so funny & cute! 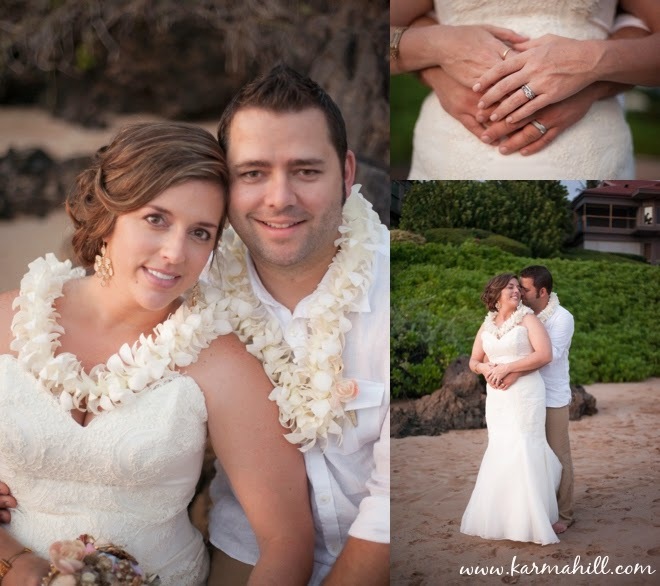 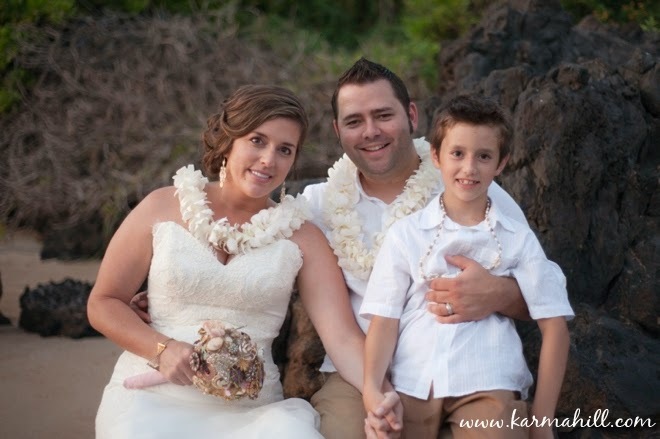 Congratulations again Bridget & Evins and thank you again for celebrating with Simple Maui Wedding!